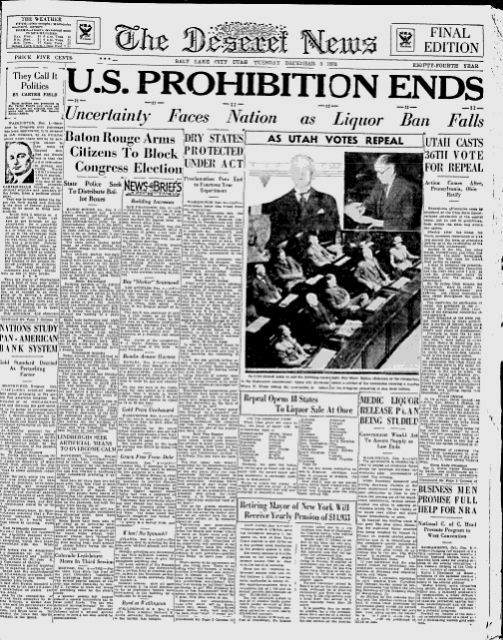 On December 5, 1933 with Amendment 21 was ended Prohibition. 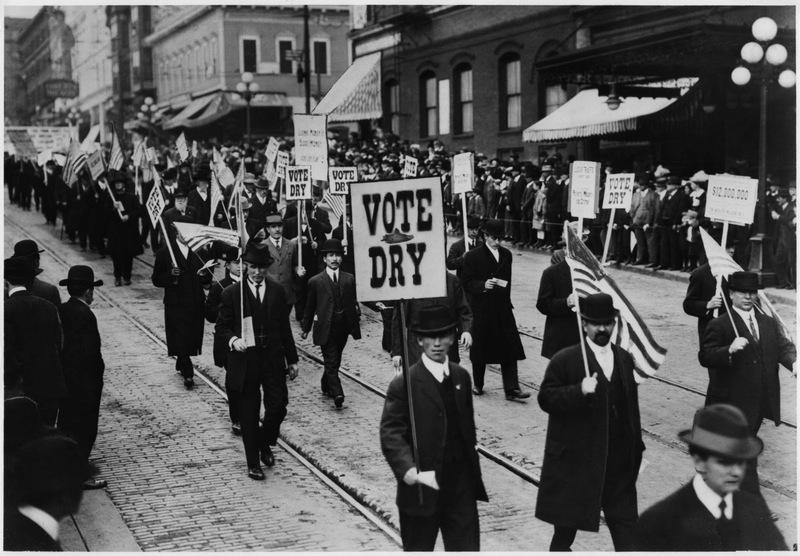 The campaign for Amendment 18 began in 1913, as an attempt at the federal level lead the trend of several states that had banned alcohol. 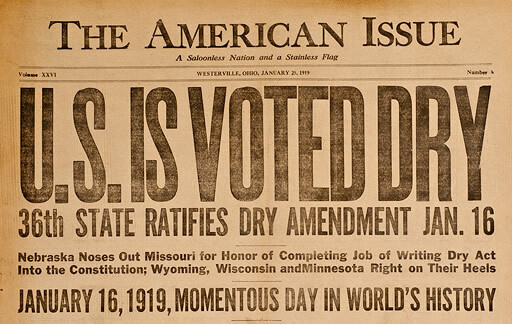 The December 18, 1917 Congress passed the E. 18, and sent to the states for ratification. The same was done in January 1919 and entered into force a year later. The law classified as alcoholic those that have more than 5 percent alcohol beverages. Movements “Temperanza” began to influence in an organized manner in the political life of the US in the 1840s, through religious movements led by the Methodist Church, who opposed from the moral point of view alcohol and its consequences. 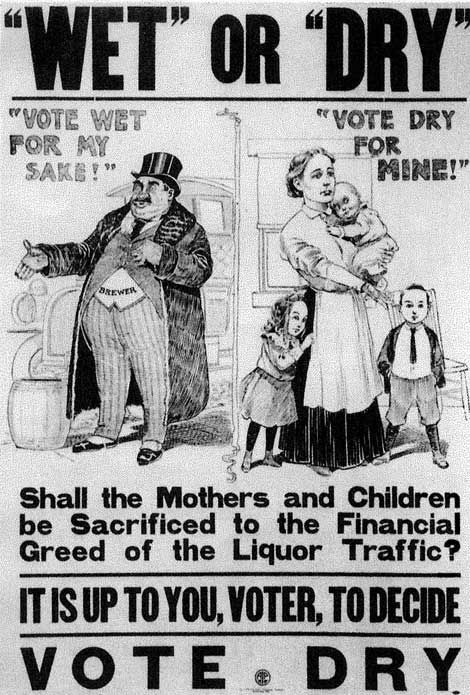 It took boom in 1880 with the campaign organization of Christian women Woman’s Christian Temperance Union (1874), the Prohibition Party (1869) and the Anti-Saloon League (1893). The movement of religious complexion actually was based on political and social conditions: it was linked to the struggle for women’s suffrage those without political power, and channeled their social struggles through the churches, as the publisher and journalist says Daniel Okrent. It approved the amendment of the ban became a reason to approve the right of women to vote. Also other groups like the Klan would KuKlux alcohol prohibition as a pretext to attack the black and one more argument to accuse them of misconduct and penalize them. At the same time drinking had become a social problem affecting families. According to statistics of the time in 1830, Americans over 15 years consumed the equivalent of seven gallons of pure year alcohol, about three drinks a day, in the years from 1850 to 1890 the consumption of beer grew inordinately (36 million gallons annually to $ 36 million). 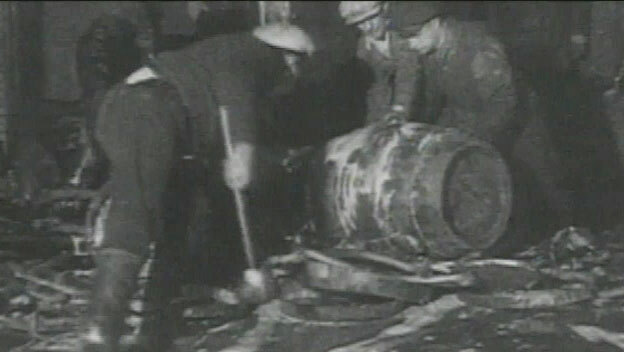 The number of taverns increased from 100,000 to 300,000 between 1870 and 1900. 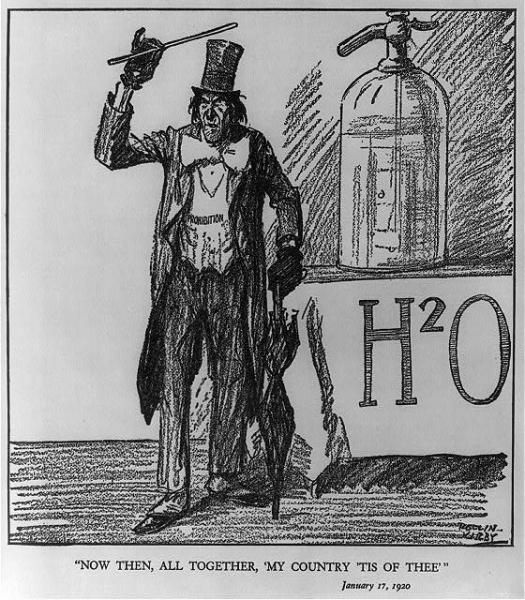 In 1851, Maine was the first state to ban the manufacture and sale of alcoholic beverages. 12 states followed suit. By the end of the Civil War, the laws had been repealed by the courts and public opposition, but the movement revived in the 1880s. In 1873, Eliza Thompson Hillsboro, Ohio, led a group of women who knelt praying in the snow in front of the taverns. Soon, nine of the 13 village tavernas closed amid criticism. The tactic spread to other places, with women at the front. There were other women who were prominent in the campaign. Carry A. Nation, a tall, stocky woman, became famous for his forays into the taverns, ax in hand, to destroy everything in its path. Another activist, Frances Willard, president of the Woman’s Christian Temperance Union, included the campaign against alcohol in the fight for school reform, prison reform and women’s rights. Susan B. Anthony, the main figure in the struggle for women’s suffrage, supported Willard. 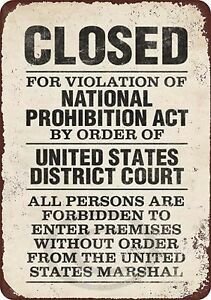 The law failed to stop drinking. 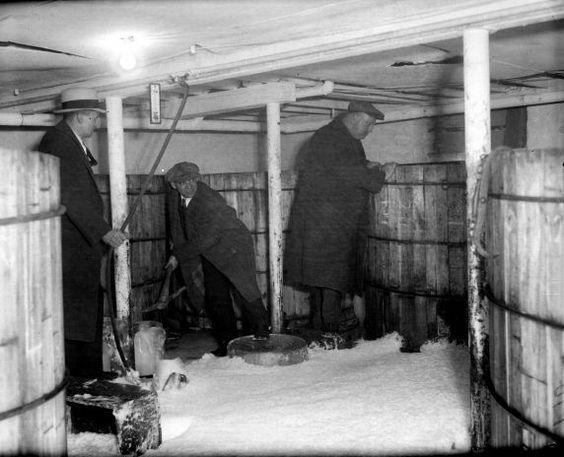 By 1925 there were thousands of clubs called “speakeasy” in New York, hidden in the basements of other establishments. Illegality triggered a series of activities and illegal groups like the Italian mafia in New York and Chicago, and figures like Al Capone. policing spread through informants, wiretaps. He untied corruption in the police, Quie was left bribe in exchange for not making arrests. 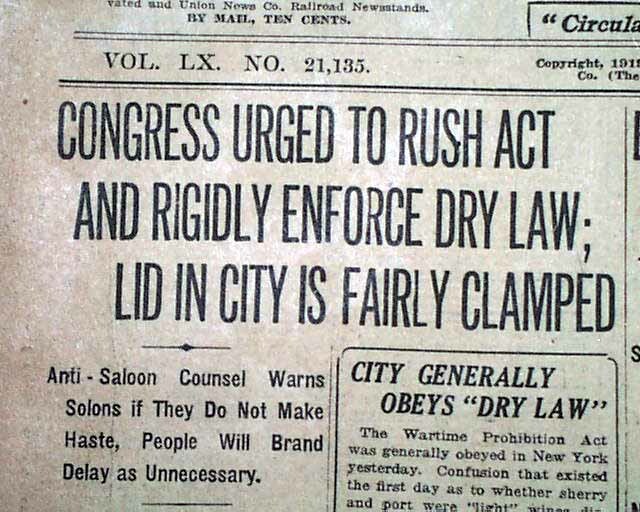 In 1931, 8 percent of New York police officers had been dismissed for this reason. Domestic wine production soared among families of Mediterranean descent who used to eat table wines. You could use alcohol to preserve fruits, and turn them into “Apple Jack” which was produced on farms. You could use as a medicine: Although in 1917 the American Medical Association had declared that there was no medical use for such drinks. The sacramental wine was authorized. 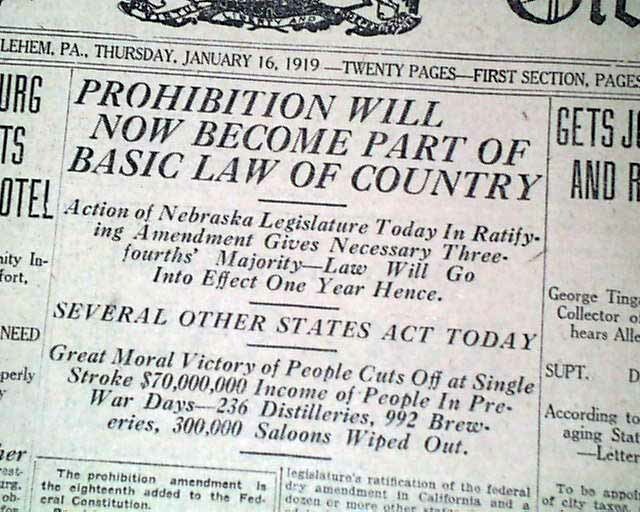 Opposition to the Prohibition began in 1920, and his opponents brandished the argument that gave too much power to the government over the individual. 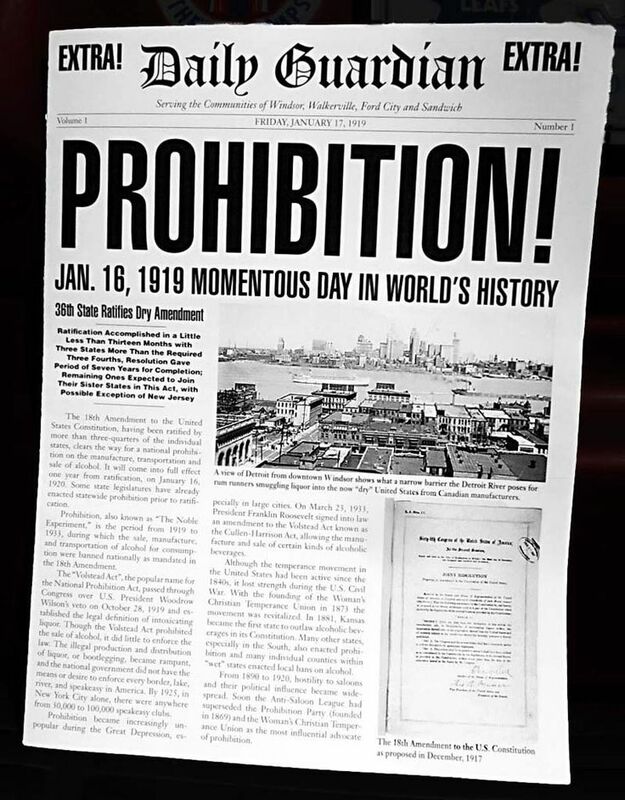 Women also recanted their historical support for the law, through the Women’s Organization for National Prohibition Reform of the consequences that this brought to young people. When taking office in 1929, President Herbert Hoover appointed a committee to review the law, the National Commission on Law Observance and Enforcement (Wickersham Committee). Although the commission, in a report supported the 1931 law, the statements of its members revealed skepticism and difficulties in law enforcement. In 1931, in the midst of the Great Depression with its economic crisis, the production of alcohol was a hope to create jobs and profits. 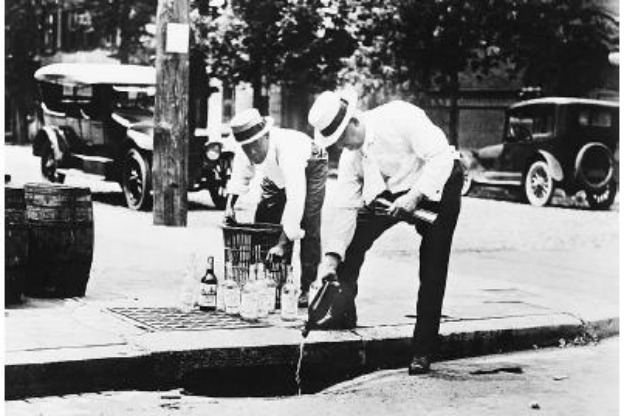 The alcohol industry was the seventh industry before Prohibition. In 1933 Congress adopted Amendment 21, approved by 73 percent of the vote.